Winter in West Michigan is not a matter of "if" it comes - it's "when" it comes. That means the work of Classmates Care is never ending. This year, the organization was named the recipient of $4,000 raised by the annual Thornapple Financial Center and Money Concepts golf event. Each year the company selects a charity or organization to receive their donation. Classmates Care is a non-profit organization started in 2012 by a group of high school students. They wanted to make sure every TK student had warm winter clothing needed to play outside during recess and at home. 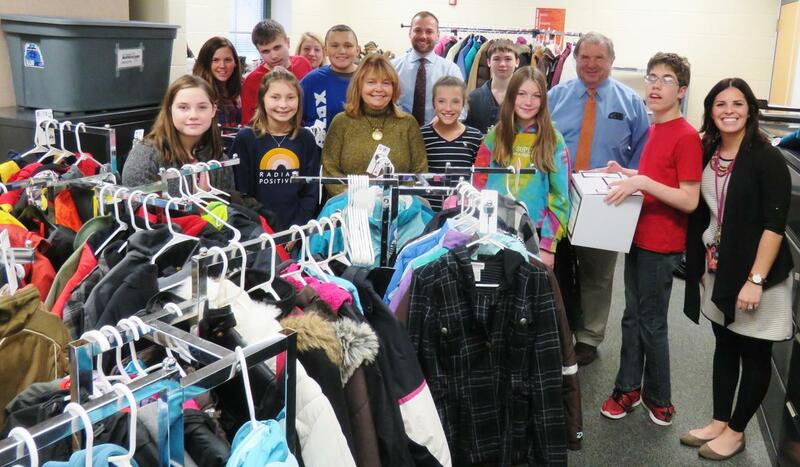 Classmates Care collects gently used coats, snow pants, hats, gloves, boots and scarves. Working with teachers and administrators to identify students in need, Classmates Care provides those warm winter clothing items. This year, middle school teacher Lillian Lienesch said they've seen a huge increase in the number of requests for help. Her special needs students work with middle school Links students to collect and sort donations and fill orders. The $4,000 donation will help the organization continue their program in providing winter clothing of all sizes. Classmates Care accepts donations of gently used items and has a room designated for storage and sorting at the middle school. The funds are used to help purchase additional clothing items as needed.